Antler Baskets–Place Your Custom Order Today! Whitetail, Blacktail, Fallow, Red Deer, Reindeer, Moose, Elk and Mule Deer antlers are selected from Cathryn’s supply or you can provide an antler yourself to be used in any antler basket commission order. Antler Basket Commissions Proudly American Made! Natural renewable materials such as wild willow, diamond willow shoots, birch bark and other barks, red dogwood, lichen, pine cones, and North American native sweetgrass are respectfully gathered and processed by Cathryn to be used in her antler basket creations. These weaving materials grow abundantly on Cathryn’s northern Angora, Minnesota homestead and are supplemented with imported commercial dyed, smoked and natural rattan reed. And whenever possible, naturally shed antlers are used by request but are more difficult to obtain, therefore, more expensive than harvested antlers. 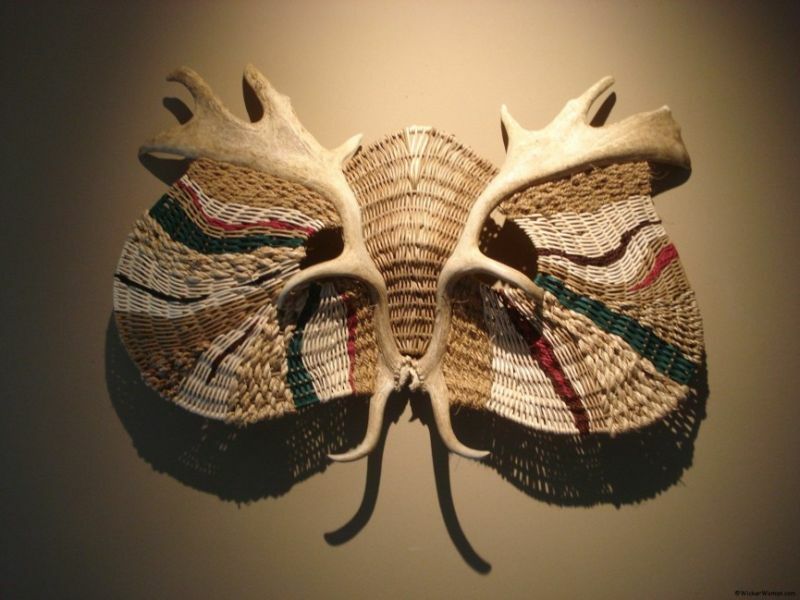 Whether sculptural or functional, each antler basket creation is given a special and befitting name, then numbered, signed and dated personally by the artist. 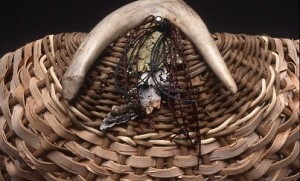 A hang-tag is also attached to each antler basket with full disclosure of materials used, name, date of creation and copyright information for further reference. Antler basket pricing ranges from $200 – $3,000, plus shipping and handling and will take 4-6 weeks to complete and ship. Commission orders can be placed by private email or phone contact (218) 666-6189. For Commission or Custom Orders: A 50% down payment made either through a PayPal Invoice sent to you, or by mailing a check, is required at time of order. After placing your customized order, you will receive a return email or phone call with a balance due and arrival date. And a digital image will be emailed to you for approval. Total purchase price plus shipping and handling charges are to be paid before shipment (either through PayPal Invoice or personal check) and checks must clear the bank before shipping. Show that special someone you care and found the perfect one-of-a-kind gift for woven by Master Antler Basketmaker, Cathryn Peters, or place the antler basket creation in your own home to cherish for decades! Place your commission custom-made antler basket ORDER today! Select “Order Antler Basket” from the drop-down menu contact form. Please call to confirm order 1-218-666-6189. 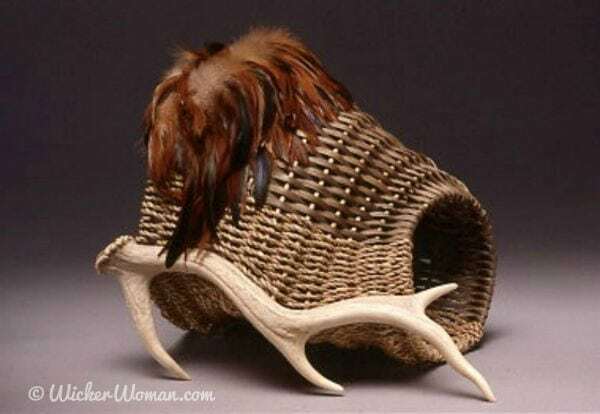 Would you like to weave your own antler baskets? 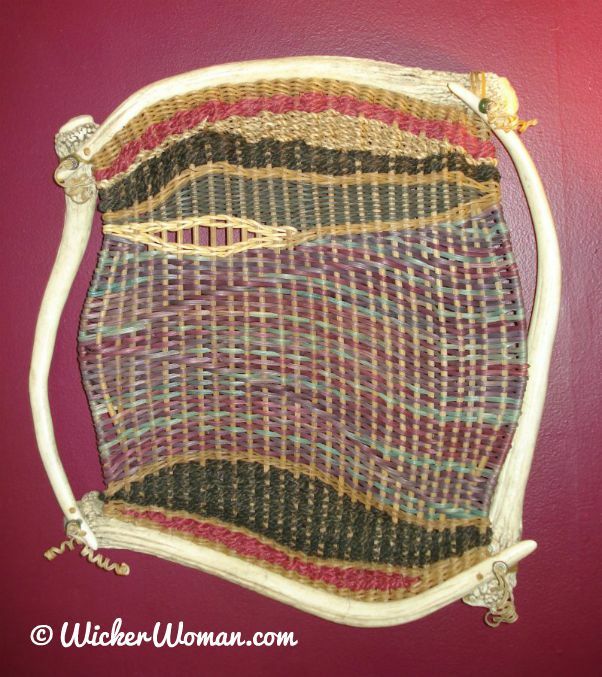 Purchase Cathryn’s antler basket patterns here. And take basketweaving classes to learn how to create your own antler baskets during one of Cathryn’s Antler Basket Classes. 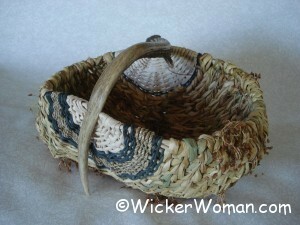 We’re delighted you stopped for a visit on the Antler Basket Commission page of WickerWoman.com! 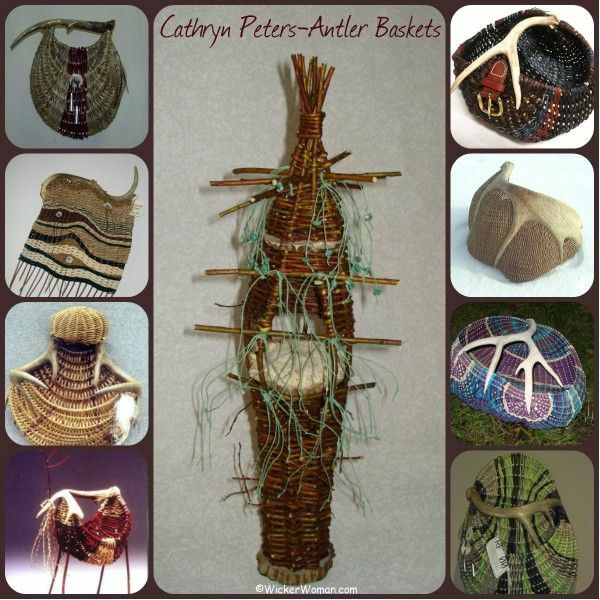 Come back again soon to see the variety of new antler basketry art work created by Minnesota’s Master Antler Basketmaker, Cathryn Peters.